I was rocking some very high heels today. Then, I decided to head to the beach after school. 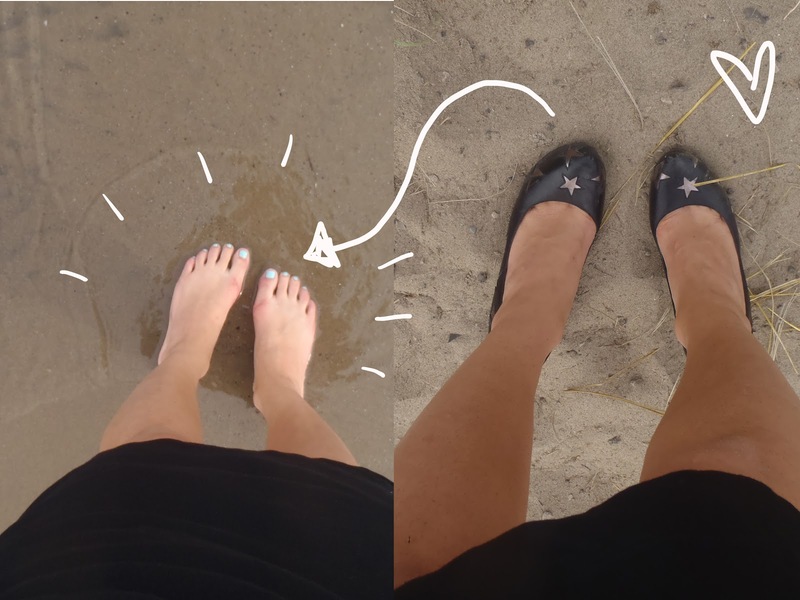 I know, it doesn't really seem to make sense, but I love both super high heels and the beach. 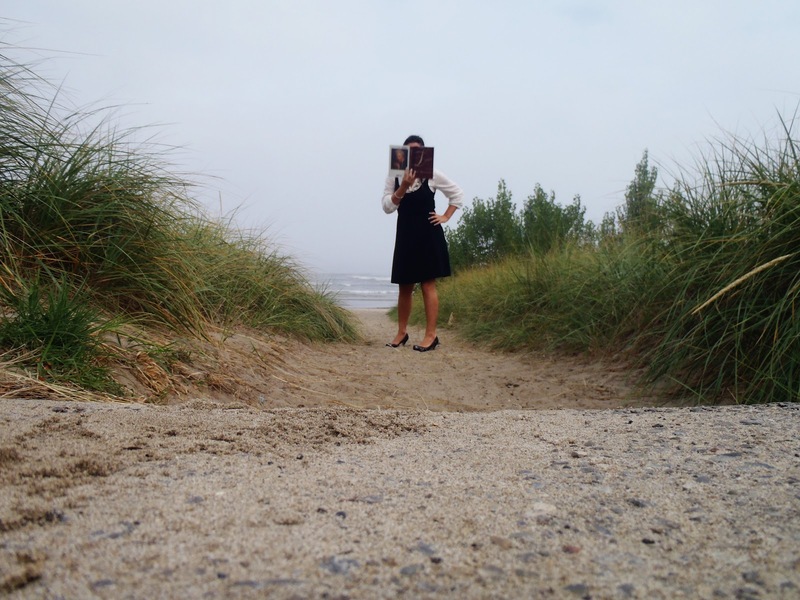 When I started sinking into the sand, I decided it was time to take off the heels. They are some of my faves. I usually save them for dancing on the weekend, but felt that my outfit was profesh enough for some party shoes. I styled a simple black dress for the second time this week. I think that wearing a basic dress shirt under a summer dress makes for a polished outfit. Also, layering any long-sleeved shirt under a summer dress is a good way to transition your favourite summer pieces to autumn. Sometimes I forget this option and can get stuck in a cardigan rut. . .